Chatteris' own Alice Sherlock on how the MTR has captured her heart and left the Tube struggling to compete. From as young as I can remember, I’ve always had this intense fascination with underground train systems. The sheer amazement I feel leaving behind one side of a city and stepping out into a completely different area gives me warm fuzzies every single time. Even now, using the Tube is one of my favourite things about trips to London. 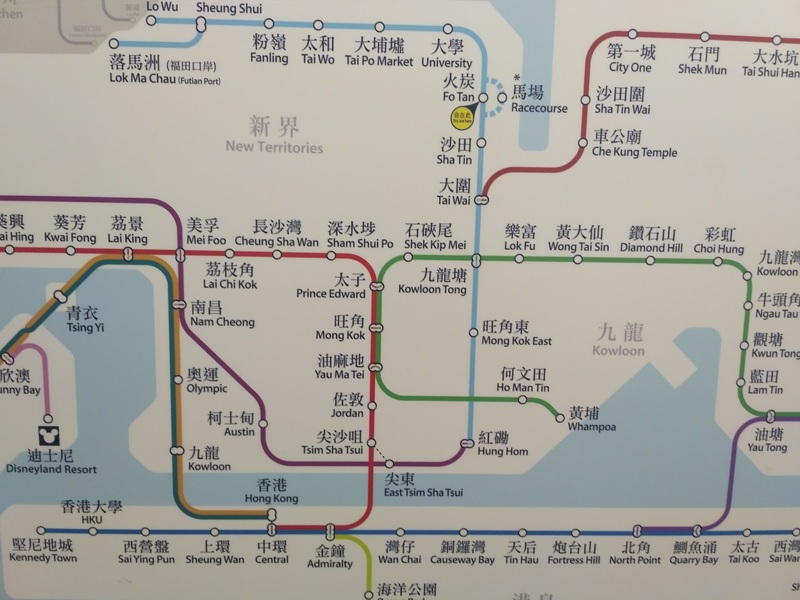 So, can you imagine my excitement arriving in Hong Kong to find an underground train network that’s hands down better than any I’ve used in Europe? I think not. 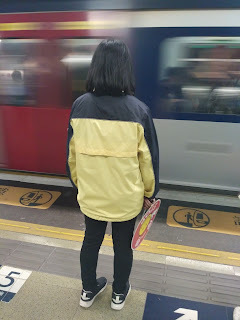 Yes, welcome, this is indeed a fully dedicated post to Hong Kong’s flipping wonderful underground train system, the Mass Transit Railway (MTR). I. Love. It. I must begin with the utter cheapness of the MTR. 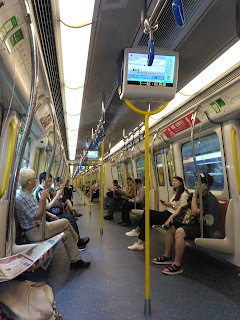 My daily commute to work is one MTR line, six stops, just over eight miles and costs a mere HK$7 (70p). I mean 70 pennies for one journey? Unheard of in most European cities, where the underground can bleed you dry. Plus, the MTR doesn’t engage in peak or off-peak prices, so it’s one single price whatever time of day, meaning no penalty for actually working at a normal hour. But, the cherry on top of the cake is the MTR is the world’s most profitable underground train organisation, so it’s not only amazingly cheap for passengers, it’s also an incredibly successful business. Alongside the vibrant mosaicked stations, one thing I absolutely love are the flashing lights on the little network maps inside the train. There are flashing arrows indicating the direction of travel, flashing station lights to inform you which station is next and flashing lights directing you to the side of the train to exit upon arrival at the next station. I am a big fan of pretty lights anyway, but never have I enjoyed flashing lights as much as I do now. They make it so easy to lose myself in a book and not have to worry about listening for the next station or looking like a numpty waiting the wrong side to exit. Every journey entails a short wait and a clean atmosphere, two simple yet vital qualities. I swear there is never more than a four minute wait at any platform and the no food or drink onboard or at stations rule is strictly enforced, meaning a superbly spotless platform and train greets you for every single journey. I actually once watched a man sneak a cheeky bite of his takeout char sui bao to have the little lady next to him tutting and raising her voice at him. What a brave soul he was to even attempt a nibble. Throughout the day, the wonderfully cute MTR staff, dressed in an adorable shade of yellow, guide you onto the train, hold up ‘stop boarding’ notices before the doors close and oversee people toward the escalator with least queues for exit. They are incredible! I’ve even made firm pals with the ladies at my local station as we exchange a wave and a smile every morning. Finally, the moment I knew an MTR appreciation post might be brewing was the moment I realised, deep in thought one post work day, I have perfect phone signal deep underground at every station and on every journey. It’s so crazy yet brilliant catching up with loved ones, browsing the World Wide Web and listening to podcasts 20 metres underground. What other underground train grid offers all that, eh? 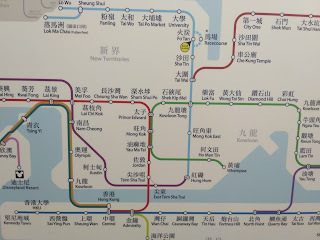 I’m so in love with the MTR, I (almost) never want to use another underground train system again. Dammit Hong Kong, why you so amazing?